Only a few years back, I remember saying that I'd never need to wear a watch again because the date and time was on my phone, which I carry everywhere. About two years ago I picked up a Fitbit Charge HR on a whim and it's been my faithful companion ever since. Recently I had an issue with it and I was without the device for a couple of weeks. I was surprised by how much I missed it while it was gone. It got me thinking about how exactly it was adding value to my life. The fitbit I use is one of the smallest and cheapest devices, the Fitbit Charge HR. I got it because I was interested in a fitbit and because my family has a history of heart disease. I chose the model just above the base because it supported heart rate monitoring. The device is paired to my home computer and to my apple iPhone (I personally prefer android but my work phone is currently apple). We also have a phone system at work which can be set to ring your mobile and desk phone at the same time. That's turned on for me permanently. One of the most unexpected benefits of the fitbit was to do with my hearing loss. I can't hear my mobile phone ringing and often I'm so absorbed in tasks at work that I can't hear my desk phone ringing either. I used to miss a lot of phone calls. I ended up putting the phone on vibrate only since there's no point in annoying my co-workers with sounds that I can't hear. Of course, unless I have the phone in direct contact with my skin, I usually don't notice it vibrating on the table. That all changed once I got the fitbit. What I discovered was that when I paired the fitbit with my iphone, it vibrates on my wrist whenever the phone rings. What's more, it displays the identity (name or phone number) of the caller. It means that I don't miss calls now and on the odd occasion that I do (like when my phone is buried under a pile of paper somewhere), I usually know who called me because their name displayed on my wrist. Even better, since my desk and mobile phones ring at the same time, I now find that I pick up my desk phone seconds before it actually rings because I've felt it on my wrist. It's a feature that I really can't live without now. The other feature I love are the silent alarms. You can set the alarm to go off (vibrate) on just specific days of the week. In my case, I have an alarm in the mornings but only on weekdays. I love this feature because sometimes I sleep through the noise of my alarm. My wife however is the biggest fan of this feature because it means that she doesn't get woken up by a super-loud alarm designed for my poor hearing. Benefits for people on the Autism Spectrum. The fitbit has a lot of benefits designed for everyone but I feel that a few of these are particularly suitable for people on the autism spectrum. I love the way the device provides encouragement and rewards to exercise. It makes exercise fun and challenging without necessarily making it a team effort. Given that many people on the spectrum are loners, having a way to get rewarded for individual behaviours is good. Being able to set five day exercise goals as well as daily goals is good too because I find it gives me something to strive for. If I have one bad day, I feel like I can try to make it up on the other days. People on the autism spectrum often get so absorbed by their special interests that they forget to exercise. The fitbit counters this nicely. Then there's the band. It's rubber but I find it (and the clock-face) much lighter than other watches. I'm also less inclined to bang into things or get it caught on things as I walk - I have killed a lot of watches in the past just by misjudging the size of entryways. 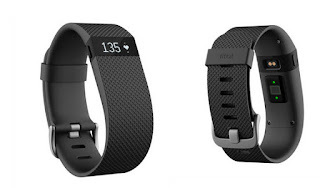 One thing that isn't too clear in the manuals is that you're not supposed to wear the fitbit tightly. You're supposed to give your skin room to breathe. Like many people on the spectrum, I've got a high sensitivity to touch and this looseness works particularly well for me. The silent alarms feature means that you can trigger alarms while in busy areas. This means that they good for reminders, for example; to take medications or even as "reminders to concentrate in class". If your child on the spectrum has a "sleepy period" in the afternoons, consider setting a silent alarm to remind them wake up and concentrate. There's a lot of other things that you can do with the fitbit, such as tracking food and water consumption. It all meshes quite nicely with the phone and internet control panels. For the most part, I don't personally use those extended features but it's good to know that they're available should I need them. Actually, this is quite a good question for which I have no answer. I bought the device to encourage myself to do more walking. I chose the fitbit because two years ago, it was probably the best known of the cheaper brands of device. As far as I'm concerned, it's a great product and it works extremely well. I haven't tried devices from other vendors but I'm very happy with Fitbit and with their support team who helped me when I had problems. Would I buy a fitbit again? Absolutely. I'm eyeing up the waterproof models already. Hi Gavin, I was advised as someone on the spectrum to get one and I have only had it for three weeks and I love it. I too set the alarm to vibrate, I wake up pleasently unlike wit a loud alarm.I am a light sleeper so can check the time in the night. I have also synced it to my phone. So I get a message on my phone, you are right about keeping fit it encourages you to keep moving. I was mainly advised to get it to keep track of when I was getting overwhelmed as heartbeat is an indicator, then told to do the preset breathing exercises option in my fitbit. Very interesting post. My son's therapist is suggesting he wear a watch that vibrates to help him self-monitor staying on task at school, especially during activities he is less interested in. He could also do with increasing his activity level so a Fitbit might be just the thing. I've just discovered your blog and it's very helpful. Thanks. Have one of the basic ones. Doesn't talk so nicely with the Apple ecosystem (one of my special interests). Just stumped up for an Apple Watch, should arrive tomorrow. Thanks for your post - my son - 20, with a cognitive disability - was given one for running, but I'm trying to figure out how he can use it at school, work, etc. I really need any help I can get.